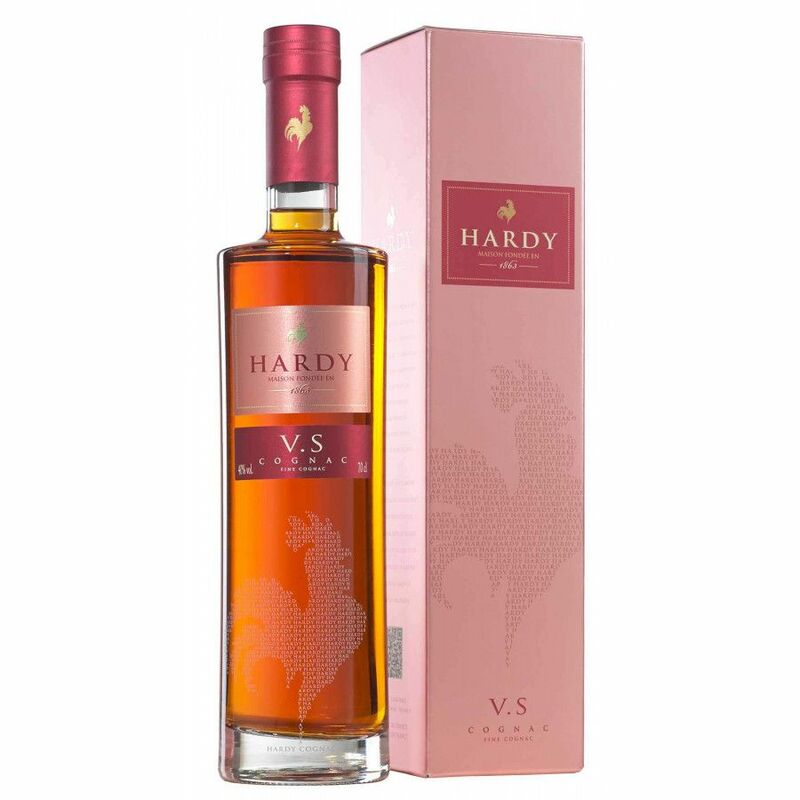 The Hardy VS Tradition Cognac is a wonderful fresh, vibrant young Cognac. Extremely versatile, it's as enoyable neat, for it's youth and pizazz, in a cocktail, or with a mixer. In additrion, this blend of eaux-de-vie is delightfully presented in a contemporary bottle with an eye-catching color scheme. This is an exceptional VS quality Cognac, capturing all that is great about youthful eaux-de-vie, yet managing to bring a fine balance not often seen at such a young age. The perfect all-round addition to any drink collection, and if you choose to bring it with you to a gathering you'll certainly get some kudos–it's such a delightful drink to enjoy in many different ways. It also offers exceptional value for money.